I loved this idea for teaching multiplication facts from Mrs. Young’s Explorers. I liked it so much I shared it with several colleagues. Then I got to thinking, why not try it with my first graders?? They can always use more practice with their addition and subtraction facts! Using the black pen, write the facts you wish to practice on the popsicle sticks. 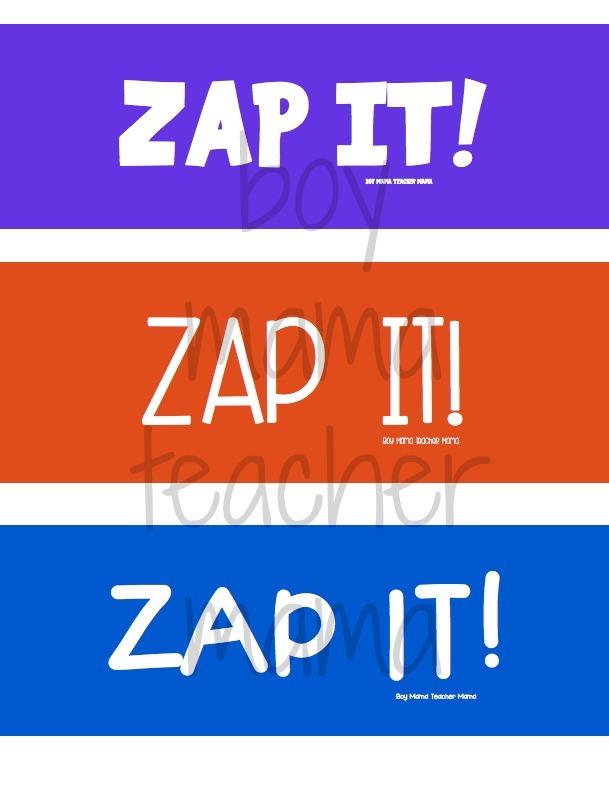 Write “ZAP!” on 4 sticks. 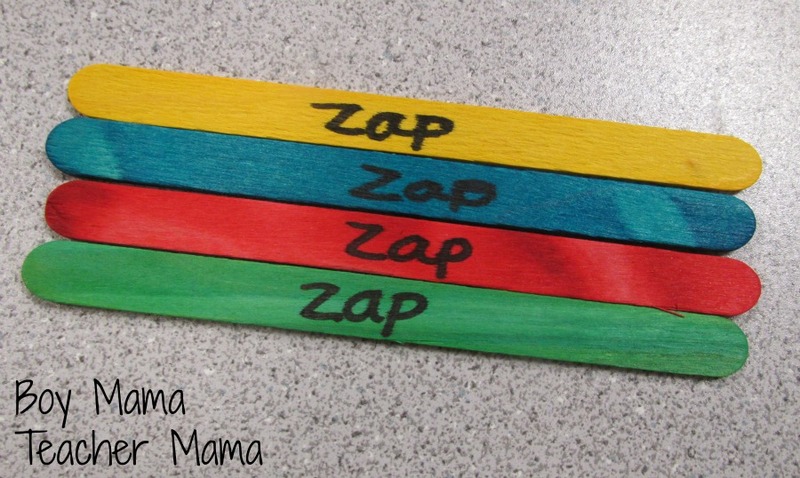 Print the labels template and glue it to the container for the sticks. Choose your favorite! 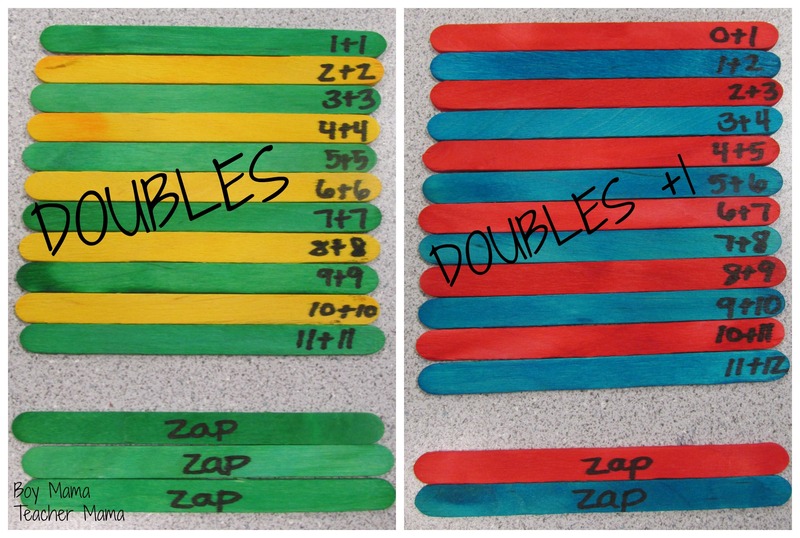 I also created a set for practicing doubles facts and doubles plus 1 facts both of which are important for young children to master. 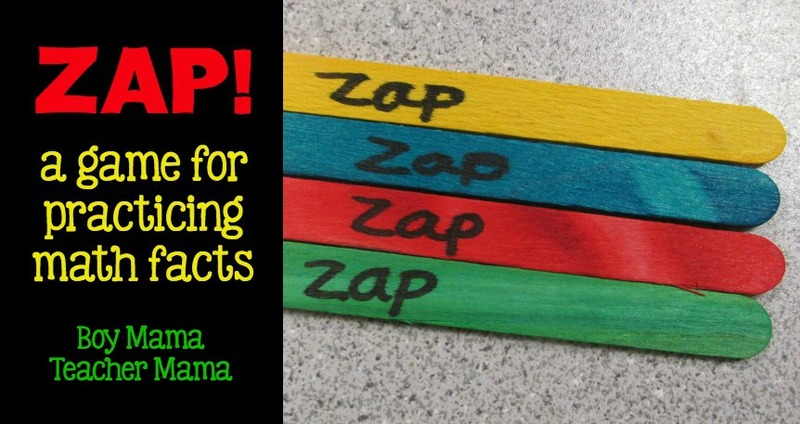 Put all the sticks in a container including the “ZAP!” sticks. Each player chooses a stick and solves the problem on the stick. If the student is correct, she keeps the stick. If he is not correct, he puts the stick back. If the student is wrong he puts the stick back in the container. 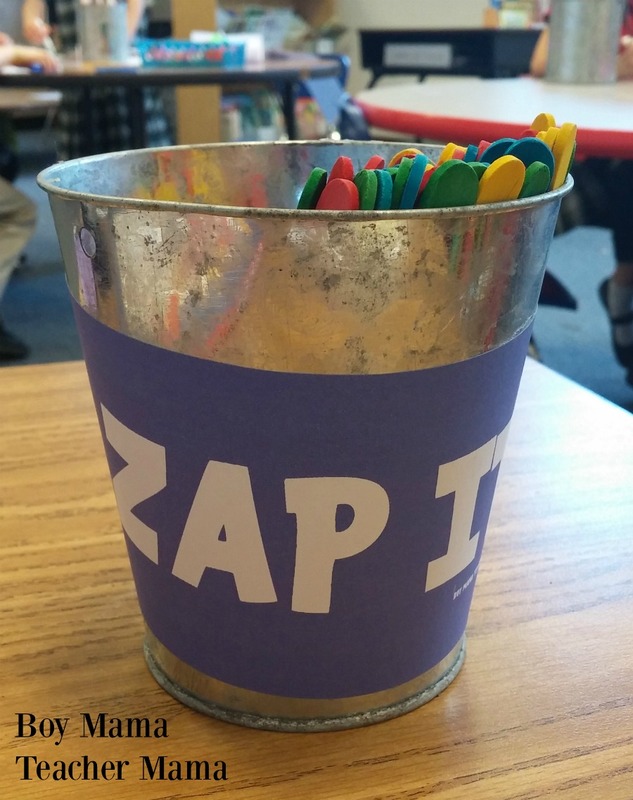 If the students picks a “ZAP” card, he puts all the cards back in the container and the game continues on.